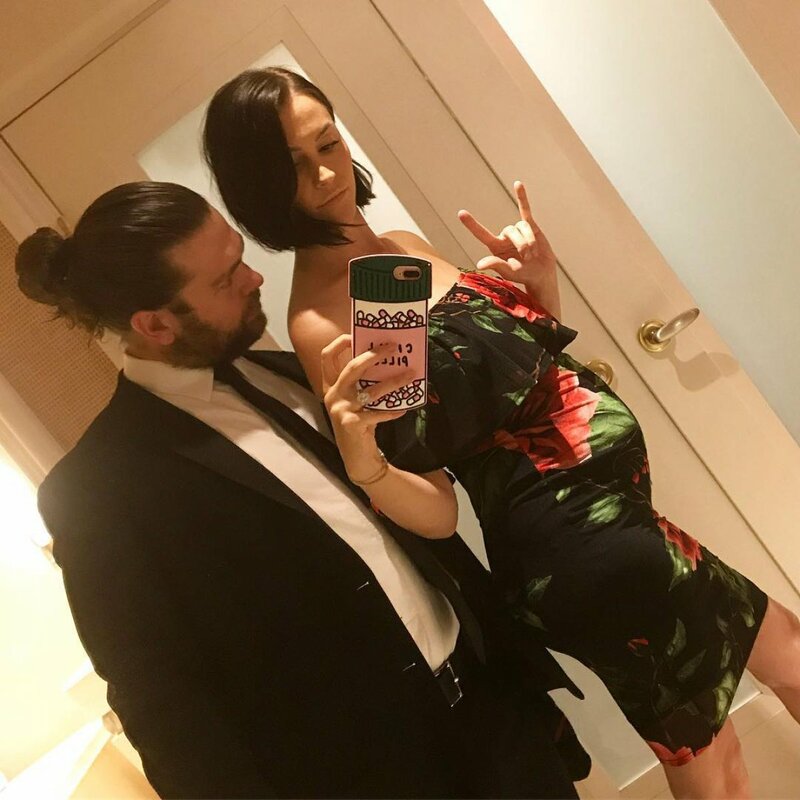 Jack Osbourne's wife Lisa Osbourne has announced on Instagram that she is pregnant with her third child. "Literally ate the biggest burrito ever," the cake decorator wrote Monday, alongside a photo of herself showing off her baby bump alongside Osbourne. Osbourne, 31, and Lisa, 30 tied the knot in 2012 after they welcomed their first child together, daughter Pearl, 5. The couple are also parents to daughter Andy Rose, 2 who they welcomed in June 2015. In May during an interview with Us Weekly, Osbourne commented that he wanted more kids but that Lisa wanted to wait before getting pregnant again. "Lisa is kind of just like, 'Let's pump the brakes a little.' Cause you know, Lisa started Fancy Sprinkles, she's kind of very occupied," Osbourne said with Lisa adding, "So if we did have other kids, it wouldn't be for a while." Osbourne is the youngest child of Ozzy and Sharon Osbourne and brother to Kelly and Aimee Osbourne. He was diagnosed with multiple sclerosis in 2012. Osbourne first became famous when he appeared on his family's "The Osbournes" reality series and later appeared on "Armed & Famous" and "Dancing with the Stars."